V3 is engineered hardwood flooring for the floor of a lifetime. Your lifetime. Every worthwhile product on Earth begins with a story. In V3’s case, the story began as a conversation. Schafer Hardwood flooring, established in 1981, was the result of an evening conversation between founder, Scott Schafer and a colleague. They discussed the problems with solid hardwood flooring and the engineered alternatives that were currently on the market. This conversation was the beginning of Schafer Hardwood Flooring, which was then built on Michigan history. Literally! The milling and manufacturing facilities are located in the heart of rural southern Michigan, on ground that once belonged to famed automaker Henry Ford. We start with premium North American hardwood - hardwood that produces tight, strong, and straight flooring boards. Next, we control the moisture level to exacting specifications to ensure stable and consistent floor boards that will perform well in all climate ranges. Our precision milling techniques allow for tight, clean fits from one floor board to the next, creating a harmonious and exquisite looking floor with minimal waste and sanding. V3’s durability and versatility are matched by its beauty. It’s available in a limitless variety of domestic Northern hardwoods and selected exotic species. Custom widths, lengths, grades, and textures are also available. This revolutionary wide plank engineered floor will endure the elements, defy nature, and remain stable in virtually every environment. 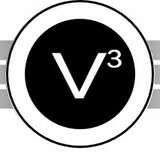 V3 remains free of VOCs and is produced using 100% VOC-free technology. It’s as gentle on the environment as it is stylish, stable, and versatile. Our flooring is uniquely designed for commercial, industrial, and residential applications to remain beautiful and last a lifetime. Your lifetime. Come visit our showroom! We have a beautiful showroom located in Tecumseh, Michigan. If you are in the area, our showroom is open Monday through Friday from 7:30 am until 4:00 pm. We invite you to stop by and see the latest in flooring options! Chris Gutuskey, owner of CJ Hardwood Floors, has been in the flooring industry since the mid-90s. He prides himself on the personal relationships he creates with his customers. Chris challenges his team to always meet the customer's vision; including using different finishing or installation techniques. Examples are installing a herringbone pattern for dramatic effect in an entry way, using recycled barnwood for a custom feel or adding inlay around a fireplace. Each job will get the specific attention to detail it requires.In this economic environment we recognize that budgets are tight. We pride ourselves on being cost competitive and a great value and investment for your money. We are also now featuring equipment that reduces 97-98% of the dust normally created with sanding floors! *Authorized Armstrong Dealer* Rafferty & Company has been specializing in design and flooring for over 30 years. Our entire team is very passionate about what we do. We are there throughout the entire design process and will help you create a space that feels like home. We pride ourselves in being able to see your vision from start to finish and making friends along the way! For business hours please call. "Custom Floors We Are Proud to Stand Behind" Floorcraft Designs’ Atomic Dust Containment System makes our hardwood flooring company a standing favorite for Toledo area homeowners. We’ve installed and refinished hardwood floors in homes and commercial spaces of every size and style in the greater Toledo area since 1996, which means there are nearly 3,400 chances that you’ve walked across one of our beautiful custom floors. Homeowners choose hardwood floors because of the incomparable long-lasting, room-changing beauty it provides, as well as it being practical, durable, eco-friendly and allergen-reducing. They choose Floorcraft Designs Hardwood Floors for our enormous selection and custom finishes, excellent workmanship, professional and clean installation. And because we stand behind our work, time after time. High quality and great customer service is our #1 priority. We take great pride in a job well done and very satisfied customers. We are the industry leader in customer service and quality. Our staff of Master Painters and flooring specialists are committed to maintaining the high standards of quality and service that made us #1 in Ann Arbor and Metro Detroit. 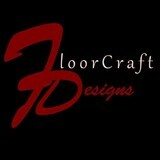 Thank you for considering A2 Painting & Flooring Company. *Authorized Dealer of Shaw Floors* Ottoville Hardware and Furniture Co. is a third generation family owned Furniture, Floor Covering, Appliance, Television, and Hardware store. We have been in business since 1934! We carry everything you need for your home or business. Our friendly sales staff is here to serve you before the sale and after. Please browse our profile and website to see what we all have to offer, YOU'LL WONDER HOW WE DO IT! We offer a range of products: appliances, electronics, furniture, mattresses, floor coverings, hardware, and more. We carry reliable flooring brands like Shaw, Mannington, Beaulieu, Daltile, FloridaTile, US Floors. For our floor coverings, you can expect a friendly, knowledgeable staff, sample check out, in-home measuring and estimates, professional installation, finance options and complete warranty services. Let us help you create beautiful rooms in your home or business. As experts in residential flooring installation, we will exceed your expectations. We offer quality work, responsiveness, and competitive pricing. We look forward to serving you. Give us a call today! Father & Son Services is a full service wood flooring firm serving the needs of clients new and established for over 18 years. Centered in the Ann Arbor, Michigan area we have installed and refinished floors for clients in the 5 county areas of Washtenaw, Jackson ,Wayne, Lenawee and Monroe. Ann Arbor Hardwoods is a local family owned business, focused on providing our customers with stunning new and refinished hardwood floors. Our goal is to create relationships with our customers that will last a lifetime; through return customers and referrals. With 17 years of experience in the field we have the skills to install new floors, or bring your old floors back to life. Our customers come first, having your home or business worked on can be a major inconvenience, we understand that and we will do everything we can to make the process go as smooth as possible.We are also members of the National Hardwood Flooring Association so that we can always expand our knowledge and better serve our customers. Mohawk Hardwood Floors Taylor, MI Hardwood Floor Install, Refinish, Stain, and Inlays Mohawk Hardwood Floors is licensed and insured serving Taylor and Downriver, MI with professional hardwood flooring. Our owner Frank is a third generation hardwood floor specialist with over 24 years of experience. Our company offers free estimates and discount packages for new hardwood floor installation. We provide quality hardwood floor services for commercial and residential properties. Mohawk Hardwood Floors' Services Include: Hardwood floor installation - basic installation, laminates, decorative wood inlays, and more Hardwood floor repair - wood damage by water or pet stains, baseboard replacement and tear - outs Hardwood flooring sanding and refinishing - large selection of colored stains, sanding, buffing, and more You won't pay us a dime until the job is done. Give us a call, we will bring our hardwood floor samples to you. Contact Mohawk Hardwood Floors today at 313-485-9760 to schedule your free estimate, or browse our website for more information regarding hardwood floor repair or hardwood floor sanding and refinishing. We Have many new things added to this website browse around and check out our commercial (below) and our photo galleries located on our hardwood floor installation and hardwood sand and refinish pages that showcase some of the work we have done, And if you have any questions please feel free to call or email. Welcome to Collins Bros. Floor Covering! Collins Bros. Floor Covering offers over 75 years of experience at making Jackson homes a better place to live. We have been serving the Jackson and surrounding area since 1940. A family owned and operated business with a mission to serve the consumers' needs. With a select line-up of the most current products, trained sales staff, decorating services and experienced in-house installers, we offer the consumer "the whole shopping package". We offer free in-home estimates, sales calls and decorating services. We specialize in residential remodeling projects, but love to decorate and furnish new homes. Situated in the Downtown Jackson area, we are centrally located to all Mid-Michigan communities. 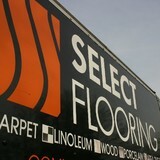 *Authorized Mohawk Dealer* Looking for quality flooring & cabinet services in Perrysburg, OH? Look no further than Perrysburg Floor Coverings & Kitchen Design. We have been in business for over 15 years and have over 30 years of kitchen design experience. Visit our showroom today and choose from a variety of cabinet options! We have everything you need to add a touch of elegance and style to your home or business. Visit us and choose from top brands such as Yorktowne Cabinetry. 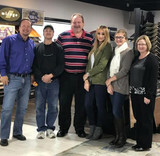 *Authorized Dealer of Shaw Floors* Founded in 1969 by Otto and Dee Weik, Carpets by Otto has grown over the years to become one of the most successful flooring businesses in the region. This prosperity is due in large part to the founder’s simple vision for doing business: “We keep our prices competitive, we keep our quality high, we do what we say we’ll do and we stand behind our work. That’s how we make customers happy.” -Otto Weik For nearly 50 years, Carpets by Otto has consistently been offering the very latest in flooring fashion from America’s finest manufacturers. Together we are committed to providing our customers with quality products and excellent service from beginning to finish, and beyond. Our customers know our name well and consider Carpets by Otto among the most reputable and long standing flooring establishments in Northwest Ohio. At Carpets by Otto we are committed to honesty and integrity when dealing with our customers, our suppliers and their representatives, our installers, our fellow employees, our city, state, and our country. We invest in the latest introductions from major flooring manufacturers, and Carpets by Otto is known to have Northwest Ohio’s most beautiful showrooms with the very latest in flooring fashion. Our excellent sales staff guides shoppers to the best selection for their needs and budgets, and Otto’s guaranteed installations offer peace of mind to customers who are assured that their job will be professionally completed to their satisfaction. What kinds of services do hardwood flooring installation professionals in Maumee, OH provide? 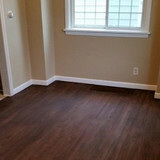 Find hardwood floor experts in Maumee, OH on Houzz. Search the Professionals section for Maumee, OH hardwood flooring installers and dealers or browse Maumee, OH photos of completed installations and look for the professional’s contact information.